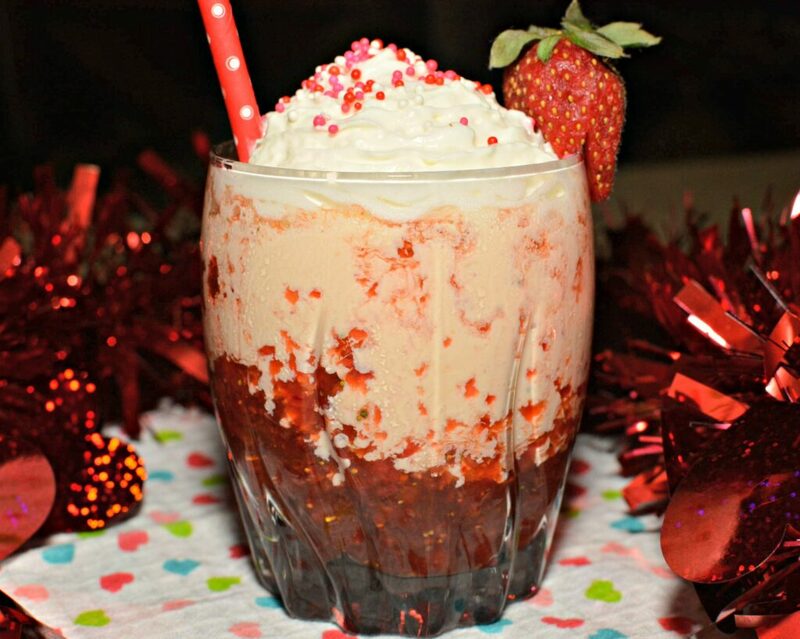 This Cupid’s Mudslide drink is just the thing to whip up for your Valentine! Adding fresh fruit into the classic cocktail, this concoction is sure to be a hit! One of my most favorite drinks to make for my hubby and I are Frozen Mudslides! Simple, yet so flavorful! It brings me back to our honeymoon, sipping mudslides on the beach in Mexico! Yum! With Valentine’s Day coming up, I decided to buy some fresh strawberries (YEA for being on sale) and make a new cocktail! Of course my hubby was on board, he loves being the official taste tester in our house, lol! We whipped this up after dinner and it was ready to enjoy in under 5 minutes! 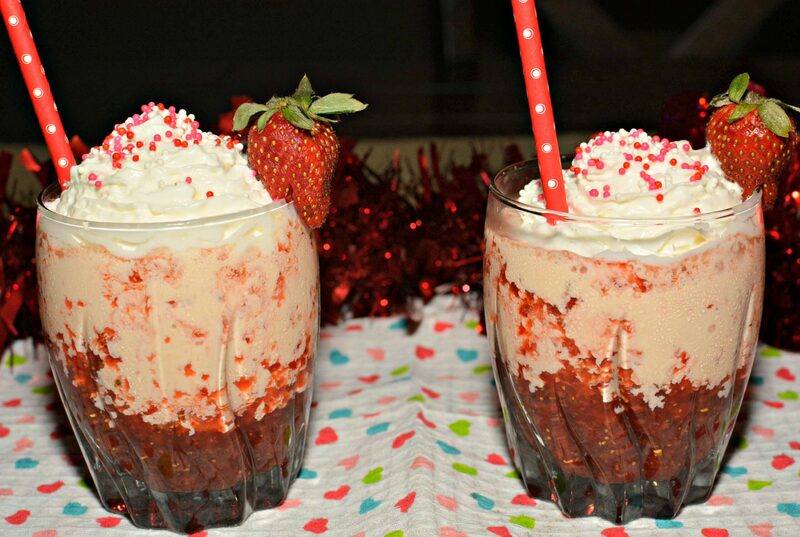 The ice-cream mixed with the alcohol created a creamy, spiked milkshake, but when combined with the strawberries, it made for one tasty beverage! I added some whipped cream and sprinkles to the top of ours to make it more festive, so I highly recommend that idea! If you don’t have those ingredients on hand however, feel free to omit because this is just as tasty on its own. Also be sure to sign up for my newsletter by entering your email address below! You’ll receive my latest recipes directly to your email, as well as other exclusive newsletter content (and giveaways)! Hope you enjoy and have a wonderful Valentine’s Day! 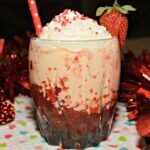 This Cupid's Mudslide drink is just the thing to whip up for your Valentine! Adding fresh fruit into the classic cocktail, this concoction is sure to be a hit! 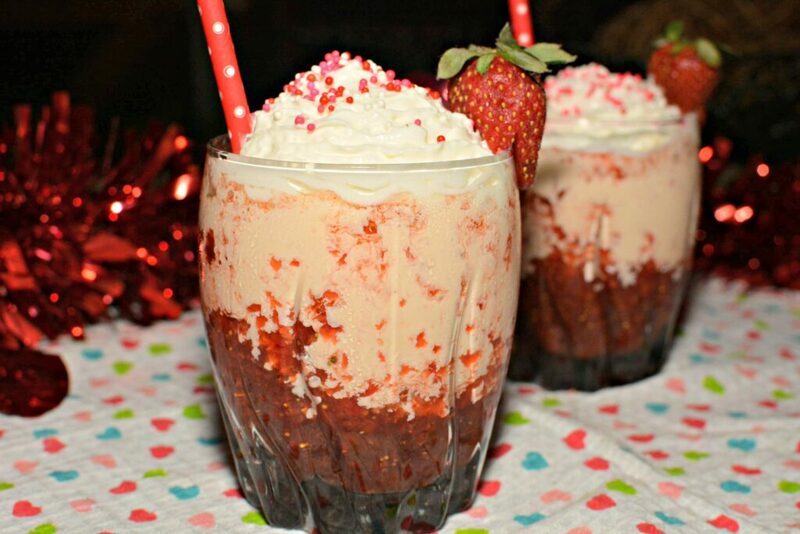 In a blender, combine the strawberries and Bailey's. Add the vanilla vodka, Kahlua, and ice cream to the blender. Pour into glasses evenly, over the pureed strawberries. Put whipped cream and sprinkles on top and serve immediately!